Samsung Galaxy Note’s multi-window option lets you view multiple applications simultaneously, which you can move around and re-size. It provides the most freeform and flexible interface for flawless multitasking, suitable for even the most task-heavy users. Cascade view offers a flow patterned view of multiple applications (up to 16) adjusting to your daily tasks for flawless apps management. Dual view allows two main apps to be viewed side-by-side vertically or horizontally - also resizable. Search the web while jotting down your notes, check email while watching a video, continue working on your docs while fielding calls - your productivity is sky high. I have owned 3 different Asus tablets and have always enjoyed them and their features. I have always wanted to get a Samsung tablet, but the new ones at a retail store, have always been out of my price range, especially for the internal memory I wanted. I bought this one on eBay at a very reasonable price, and Love everything about it. It may say it is the 2014 Edition, but it runs Android 6.0, has 3gb RAM, and is quick. I've added a 128gb micro sd card, for extra storage. The graphics are Great, really enjoy streaming video on it, great to have a stylus that fits in the tablet when not in use. There are tons of cool features, many I've not had the chance to use yet. Honestly, I wouldn't take double what I paid for it. The only "con" so far is the battery life. I'm not sure if it needs a new one, or if Samsung cheated out and just threw a battery in that was lying around. I do plan on replacing the battery soon. Overall I still give it 4 1/2 out of 5 star rating. My hubby bought me this tablet for my bday after readding all about it. He LOVED everything about it, so he bought 1 for himself. Well after buying 2, we got a 3rd for our sons bday all the same at great prices. So we will b getting r daughter inlaw 1 for her bday too. So yes we r a Samsung family. I looked at many different kinds this past year, and watched alot of videos, read alot of reviews, I found that the cameras, pictures, memory, easy to use for even elderly folks like us. If ur looking for a tablet that does it all, this is it, u cant go wrong. 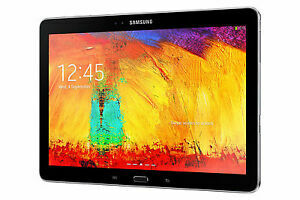 We have no regrets n will enjoy our Samsung Galaxy Note 10.1 2014 editions everyday we learn something new about. The Tablet is a retired Verizon Tablet. There are things to get rid of and things you can't. The screen provides a very sharp image. It charges slowly. Battery life is OK once it does fill up. It does not have any full size USB ports. Blue Tooth works fine. This is the second one I have purchased. It's so simple and easy to use. It's the perfect size for those of us that find the phone a bit too small to read easily. I highly recommend this product.